"JetRight is growing, and right now I'm the entire sales force, I've received quote requests from Seattle, Washington, and California, and frankly that's somewhere I can't go right now. MRO Insider just extends my range; it's a lot cheaper to pay a monthly subscription than it is for me to travel." "Normally we would use a West Coast OEM facility for a GoGo WiFi installation on an aircraft coming onto our charter certificate. Using MRO Insider, we received a quote saving us $25,000! That is certainly incentive to find a way to get to the East Coast for this installation." "MRO Insider is a great tool to have in your arsenal. Our Gulfstream was coming due for heavy maintenance and also needed to become ADS-B compliant. Our quote request was answered almost immediately, and because of MRO Insider, we accepted a quote from a facility that we’ve never utilized in the past. We now plan on comparing our options and reducing our maintenance costs for all future events!" "By using MRO Insider, I was able to find several facilities our team had never heard of or utilized. The site is an extremely valuable tool to receive quotes much faster than if I had to contact them myself! MRO Insider has become a great tool that has proven very useful to our operation." "TMx Aero has been working with MRO Insider for the past few months and have been very happy with the results. Their website has given us access to clients our company would not likely have the opportunity to reach! It has been a pleasure interacting with the MRO Insider crew and they have been very responsive in answering questions, providing insight, and listening to feedback. 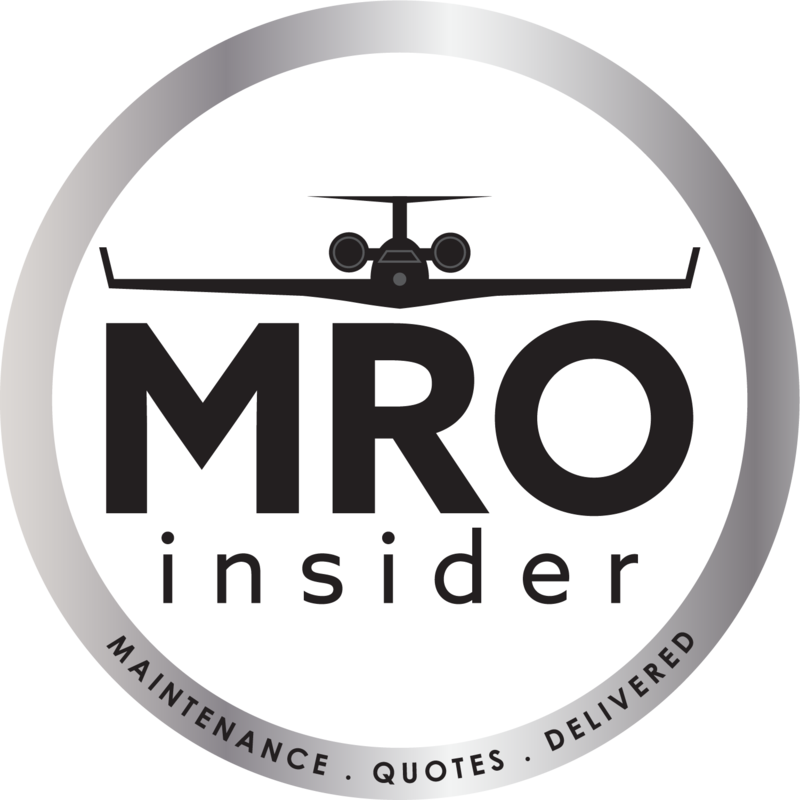 We are looking forward to growing alongside MRO Insider in the years to come!"